You are here: Home / Headlines / Supplying Discovery Tools / How do you maximize immunoprecipitation? How do you maximize immunoprecipitation? 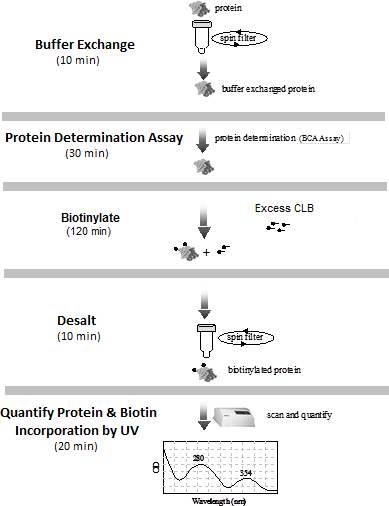 Protein purification from cells or supernatants, endogenous proteins complex analysis, and targeted protein enrichment for even more sensitive mass spectrometry-based biomarker discovery requires a particular immunoassay called immunoprecipitation (IP). Basically, the most robust method to pull-down a specific protein with its partners from cell lysates should be the combination of an antibody conjugated to biotin and magnetic beads with streptavidin. Unfortunately, if your antibody is not yet conjugated to biotin, conjugation is a blind process. That is why, using protein A/G coated sepharose beads is the most popular method. But what if an antibody biotin conjugation kit could provide simple UV-scan based quantification of the conjugation yield? The ChromaLink Biotin Antibody Labeling Kit is based on chemistry between the N-hydroxy-succinimidyl ester functional group and lysine residues of the antibody. The bioconjugation brings a UV traceable linker between the biotin and the antibody, making quantification very fast and simple. You can download the Excel tool for more convenient quantification with this kit here. The workflow is also fast and simple as illustrated below. Why does this Chromalink kit make a difference? The kit is complete and allows quantification of the biotin conjugation. Streptavidin beads are then required to capture the biotinylated antibody and its target protein. Here again, the major point is the reproducibility that is associated to the biotin binding capacity of the beads. 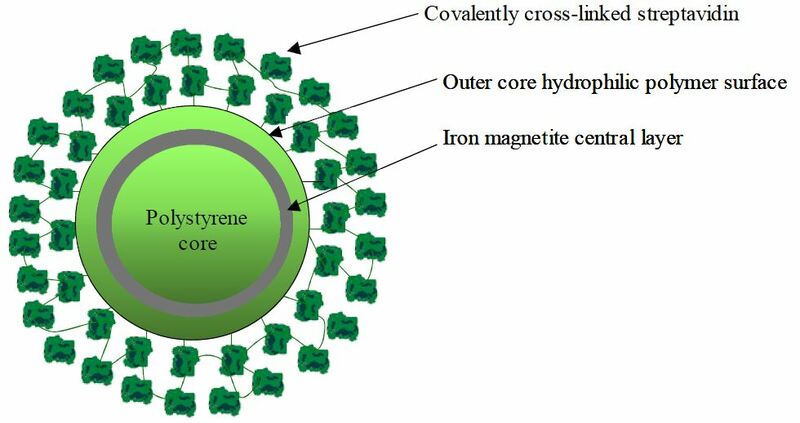 NanoLink beads are super-paramagnetic beads covalently link to streptavidin. Their diameter is 1 µm. Why are Nanolink beads perfect for immobilizations and Co-IP applications? They are provided in 10mg/ml corresponding to 1% solids. Their binding capacity is more than 1.7 nmol/mg of a biotinylated-IgG (250 µg/mg). 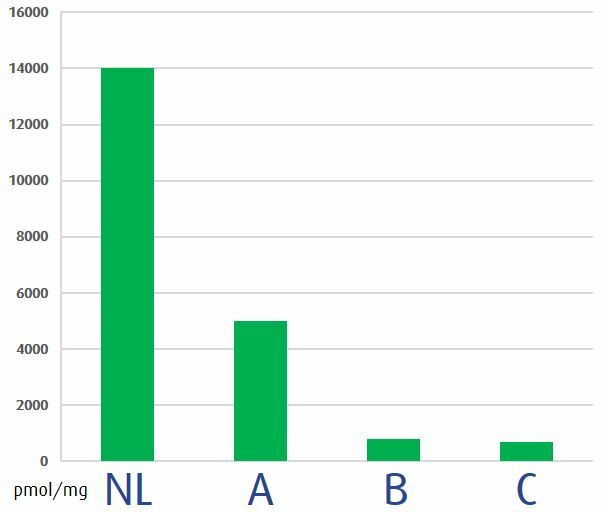 1 mg of NanoLink Streptavidin Magnetic Beads will quantitatively bind 250 µg of biotinylated IgG at a biotin molar substitution ratio (MSR) of 3. The combination of the Chromalink technology to conjugate biotin to antibody and the Nanolink beads to pulldown and isolate the antibody-antigen complex brings reproducibility and robustness to this immunoassay. Any questions? Feel free to leave your comments below, I’ll be pleased to respond!